Your newborn’s wants and needs are the same. Later she may want a smart phone or a pony, and you’ll have to decide if that’s reasonable, but for now, if you can figure out what she wants you always get to give it to her. Your baby’s behavior will make more sense if you think about what his life was like during pregnancy. For example, he was never alone for a moment. Many new parents are surprised that their babies will be happy in their arms, but begin to cry the moment they are put down, even when they are sleeping. Being alone is new for your little baby, and it will take some getting used. Hold him as much as possible to show him the world is a safe place, and before you know it he will be crawling away from you, walking away from you, running away from you, biking away from you, and eventually driving away from you. Enjoy the time when he’s little and wants to snuggle. Baby wearing is a great way to be able to meet your baby’s needs for being held, while keeping your own hands free. It is an ancient way of baby care that is universal among traditional people. Babies that are worn frequently cry less, and so are able to put more of their energy into growth. Babies should always be worn facing towards the adult, not out. Some popular tools to wear your baby include the NuRoo, the Ergo, and the Mobi. When a newborn is held or worn, his heart rate and breathing will synchronize with the adult he is with, and you may notice his breathing is more regular. Holding your baby skin to skin (he can be in a diaper) is a great place for him to acclimate to life as a newborn. When your baby is skin to skin, it’s easier for her to regulate her body temperature, a job she didn’t have to do as a fetus. If the room feels cool, you can put a blanket over both of you. In utero life wasn’t silent; your baby could hear your heart beat constantly, as well as your digestive sounds, the swishing of the placenta, and sounds in the room. That’s why babies show a preference for familiar voices once they’re born; they’ve been in their listening and learning for months. Moms have noticed that if they play the same music while relaxing in the bath or during a massage during pregnancy, that playing that music for their newborns will calm them. That’s because during pregnancy mom and baby constantly converse hormonally. Therefore when you relax so does your baby, and he will learn to associate feeling calm with the music he feels at that time. Learn more about how you communicate with your baby prenatally in The Attachment Pregnancy. While most parents know that crying is most commonly caused by hunger, I have heard many say that their crying baby isn’t hungry because they “just fed her.” However, just fed to a newborn and to a parent are often very different. Because your baby was fed constantly from the placenta down the cord, she doesn’t experience hunger until after birth. It’s a new sensation and she doesn’t like it. Because her stomach is so small, she can’t take in much at a time, so frequent feeds are key. It is normal for babies to need to feed ten to twelve times, or more a day. Keep her with you and feed her at the first signs of hunger (making sucking motions, rooting (turning her head), wiggling, touching her face with her hands). It will be less frustrating for both of you if you can feed him before he gets to the crying stage. Have you heard that the days are long, but the years are short? The early days of parenting are intense, but you will soon be nostalgic for the tiny baby your child once was. Rest when you can, take pictures, and try to notice the details of this short but important time in her development. Julie Brill, CCCE, CLD has been working with families in the childbearing year as a doula and childbirth educator since 1992. She is the homeschooling mother of two teenage girls, a La Leche League Leader, and a Certified Breastfeeding Specialist. 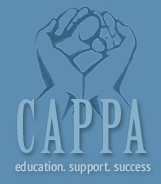 She trains childbirth educators and labor doulas at New England CAPPA-approved workshops and teaches childbirth classes in the Boston area. She is the author of the doula anthology Round the Circle: Doulas Share Their Experiences.